These images were all made at Meadow’s Mirth Farm, during the annual Heirloom Harvest Dinners in 2011, 2012, and 2013. 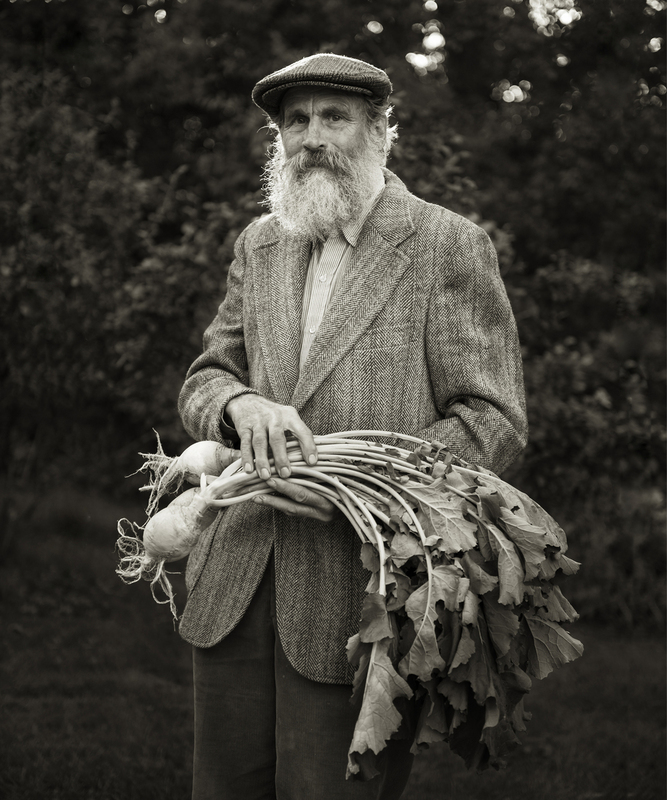 The Heirloom Harvest Series is an ongoing project documenting the local dining, food sources, and culture of New Hampshire and Maine. Beyond its documentary scope, this project is also about Enna’s search for roots both her own and her community’s, and about observing the development of connections between food producers in her community. View Enna's gallery of food, farm, and local dining images here. A selection of images from this project are available as 20x24 beeswax encaustic panels. These panels are burnished to a high gloss - the texture of the brushed and polished encaustic reflects light beautifully. While encaustic is one of the oldest and most stable mediums for painting, it is sensitive to heat; these should not be hung in direct sunlight or near a heat source. As the encaustic cures, some dulling may appear on the surface of the wax. This may be carefully and gently buffed with a soft lint-free cloth or chamois. Due to the nature of the encaustic process, slight variations may appear on the finished work from what is pictured here.